Melvyn and Lorraine Alsop were left high and dry after a company, which they commissioned to redesign and build their new kitchen, went into receivership. 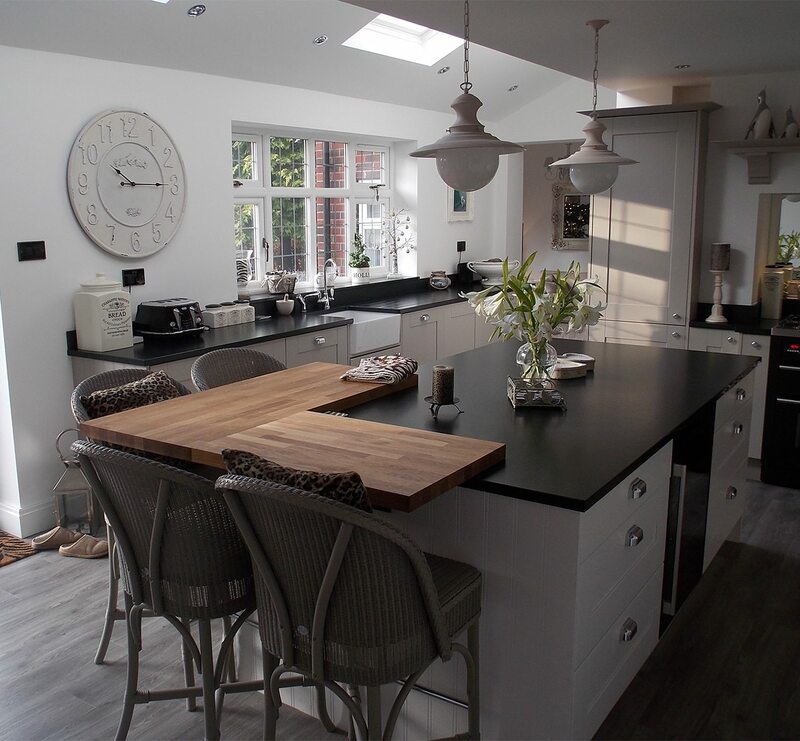 The couple, from Warrington, had to search for someone else who could complete the task of remodelling their 20-year-old kitchen with dedication and diligence. 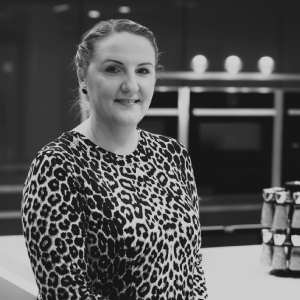 After attending a live cooking demonstration, at the Manchester showroom, they decided that Kitchen Design Centre’s innovative approach to kitchen design, and its professionalism, was exactly what they were looking for. 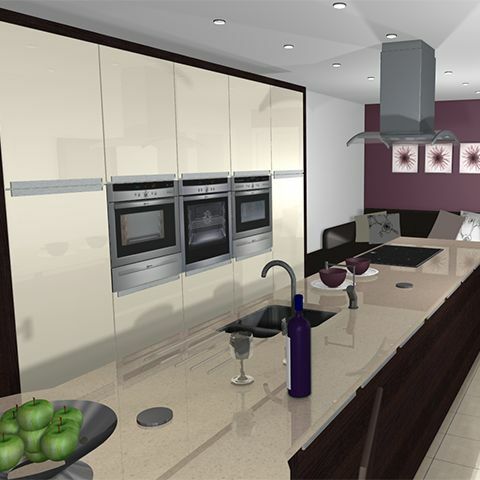 The designs had already passed the conception phase when Kitchen Design Centre took over the job. 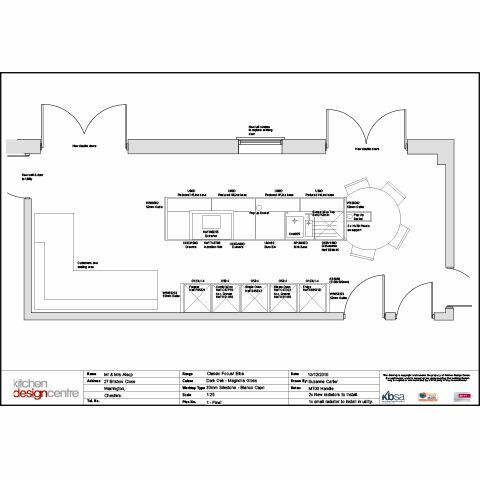 After a few design changes, to ensure maximum space and symmetry, Kitchen Design Centre started work. Suzanne, designer at Kitchen Design Centre, said: “This work was fairly unique because there was quite a lot of internal building and construction work to be done. Creating the German-style kitchen meant combining three rooms -by knocking down, and reconstructing, a number of walls and features. A kitchen, utility room and living room was combined and transformed into one multi-functional modern kitchen and living space. Incorporated within the kitchen is a long kitchen island, complete with a breakfast bar at the end. This brings extra storage and worktop space as well as serving as a family meeting area. There is also a living area with a wall-mounted television. The kitchen houses all the latest modern appliances, such as induction hobs, a combination microwave oven, warming drawers and an integrated fridge freezer. “These modern appliances assist us greatly with every day living,” said Melvyn. “Particularly useful, is the boiling hot water tap, or Quooker. It dramatically cuts down cooking time and saves worktop space. “The Quooker is useful for boiling eggs, making pasta, and for coffee and tea, as well as many other every day kitchen tasks. With noticeably larger windows, and more lighting, the kitchen feels open and bright. This is in stark contrast with their old, comparatively small kitchen. 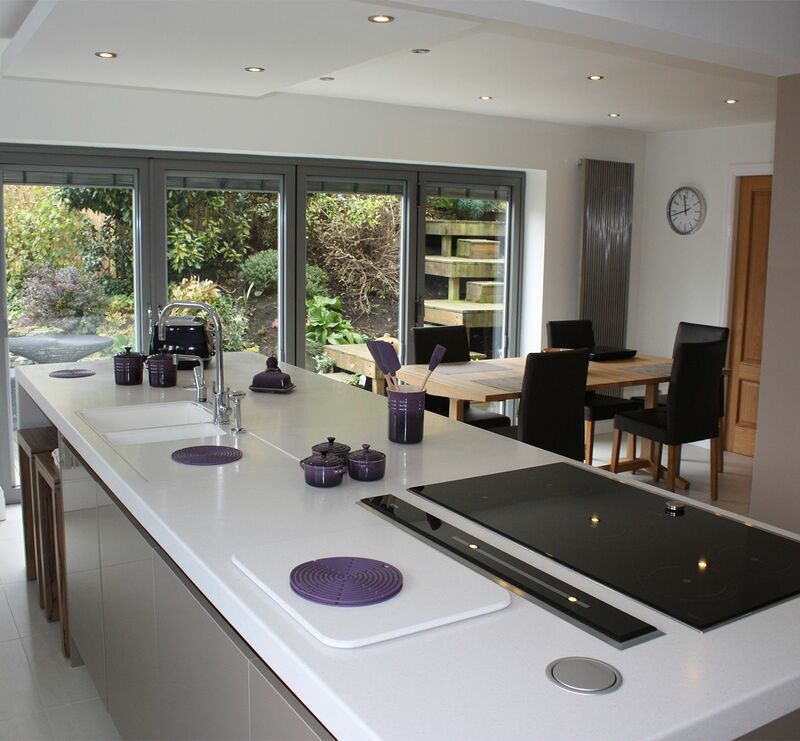 Like many of Kitchen Design Centre’s customers, the couple chose Silestone worktops. With its special ‘Microban Antibacterial Protection’, it is extremely easy to clean and highly scratch and stain resistance. Melvyn and Lorraine’s fantastic new multi-functional kitchen is everything they wanted – and they were impressed with all the hard work the designer and fitter put in. “We had absolutely no problems throughout,” said Melvyn. 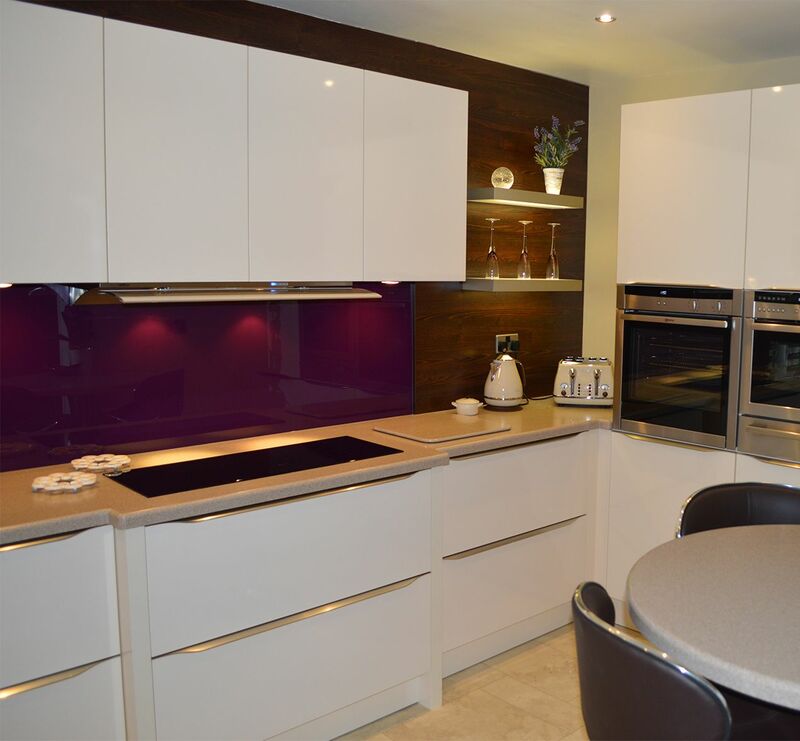 “I was extremely pleased with how attentive Manchester Kitchen Design Centre was. If there was even a tiny problem, the staff members immediately corrected it – because they wanted the kitchen to be absolutely perfect. 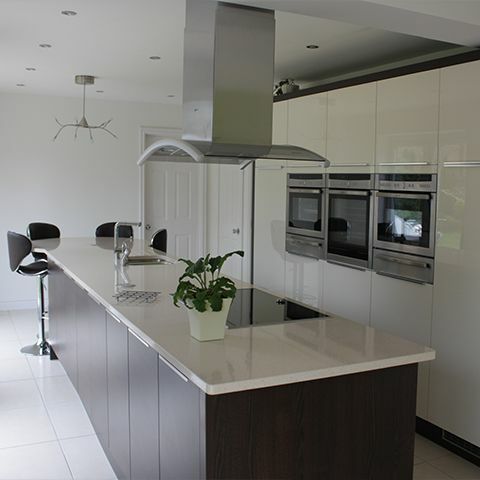 "I was extremely pleased with how attentive Kitchen Design Centre was. If there was even a tiny problem, the staff members immediately corrected it – because they wanted the kitchen to be absolutely perfect." “It was essential that the task was completed within a five week deadline, since the couple wanted to use their new kitchen for their daughter’s 21st birthday party."